My skin has been going through a bit of a rough patch recently – a whole 4cm squared area to the right of my mouth has been a mountainous area of blemishes and the rest of my skin has just been so…. bleh! So I have swiped the bathroom shelf clean and tried some new products, and so far, so good! 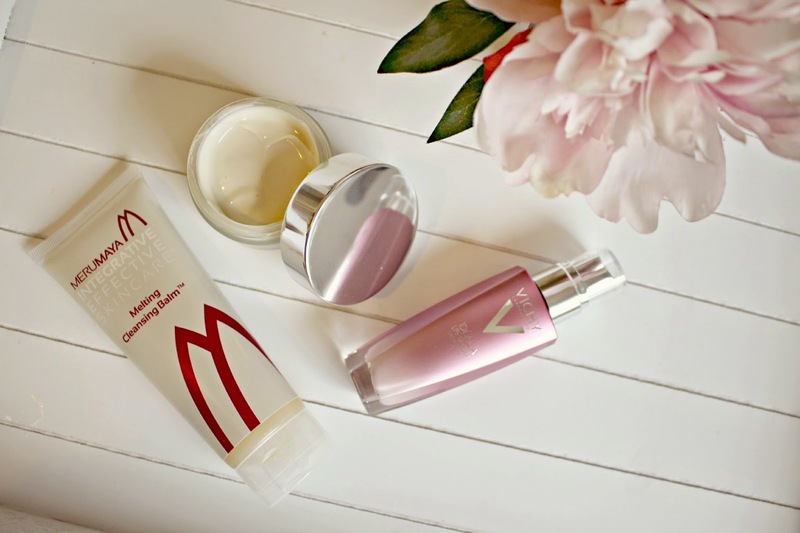 Firstly, to cleanse I have been using the Merumaya Melting Cleansing Balm. I think a sachet of this is available in a few beauty boxes recently so you might be able to get hold of some to try yourself. On clean skin, I have applied a couple of pumps of Vichy Idealia Life Serum day and night to give radiance and also improve skin quality, and I’ve then been applying the S5 Balance Fluid for correcting oily skin tones . You’ve probably heard of Merumaya from other bloggers raving about it – I don’t think the packaging gives this product enough justice, it’s an incredibly luxurious cleansing balm but to me it looks quite budget. Don’t let appearances fool you though – minus the high price tag, this cleansing balm is up there amongst the best that I’ve tried. Every application feels like a luxury facial and the ingredients give off the most divine fragrance. Containing RevitElix oil and omegas, the balm helps your skin increase the repair barriers which are needed at this time of year as the temperature fluctuates. It’s suitable for sensitive skin, and even for problem skin as it’s just so gentle. It’s a dream to apply – a super soft balm that you can splash off or use a cloth, I love to give myself a little massage when I have a little extra time! I’ve noticed that my blemish area looks much calmer almost immediately after I cleanse and my skin feels super clean ready to soak up the next products in my new routine. The balm is £14.50 for 100ml from www.Merumaya.com and also from John Lewis. Next, onto clean skin I apply the Vichy Idealia Life Serum. It works as a radiance primer in the day time and immediately refines the look of pores and illuminates the complexion – an instant 10 hour sleep effect! The ingredients within the serum can improve signs of ageing – particularly those that are as a result of lack of sleep, pollution, stress and hormonal imbalances. 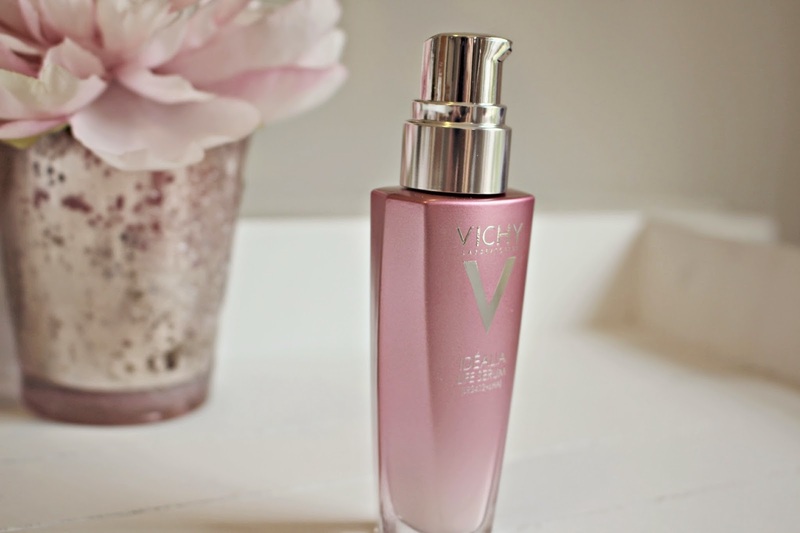 Sometimes when I try a new serum, it makes me break out to begin with, but fortunately not with the Vichy serum. The scent is a delicate floral one and the serum has a few shimmering specks in it – it gives a soft glow and feels light and non-greasy on the skin, taking no time at all to dry. I feel more confident wearing less foundation with this serum, and my skin tone and pore size has been improving – so far so good with the new routine! The serum is £25.45 from Escentual. 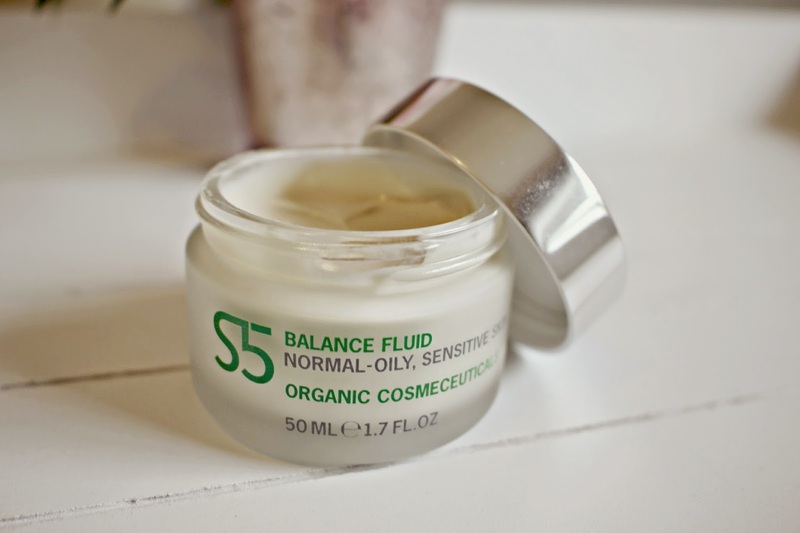 The final stage in my skincare routine is a moisturiser from S5 – I’ve chosen to try this one at this time because it is promises to work well on blemish prone, oil, sensitive skin – which mine definitely is at the moment! The active ingredients work to de-stress and balance the skin, by injecting it with hydration and nutrition. I have noticed that my skin doesn’t get oily later in the day but without drying out either, this has lead to less sebum-related blemishes so my skin is clearer over all. It sinks in quickly and has a delicate herby fragrance. The packaging is more functional than it is pretty – if you want a fancy brand and a pretty jar, this isn’t the one, but a product that really works? You can count on it with this moisturiser! It’s not cheap at £39, but having used it for a few weeks you can barely see that I’ve touched it so hopefully it will last for a while! You can get it from S5skincare.com here. So that’s my new routine and so far I am really pleased with the results. Every product seems to be really functional and my skin is looking better than it has done in a long while!